I made this project in March of 2003, which to me feels like another world away. I suppose if I look past the random tests and trials, this short was actually the very first video I ever made as part of a film school class. It was in Film 200 and the assignment was to script and shoot a character study, real or fiction. This project, as was the purpose of Film 200, marked the final part of preliminary testing before actually being accepted into the University of Regina film program the following year. In the end I think they let in anyone who was willing to pay. It's tough to say exactly what inspired the short, but I'm thinking it was the same thing that inspires every filmmaker to make a 'homeless guy' movie at some point. 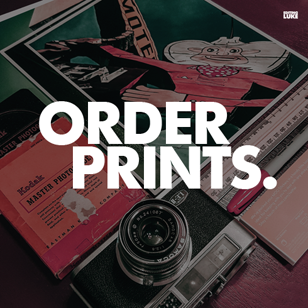 It's cheap, there's a grittiness and reality to it, and it's an easy way to make drama. For me, Homeless was a mix of seriousness and comedy. The magazine page of the woman that he stares at and then uses to clean his face, the mustard gag, the newspaper sticking to his face after sleeping on it, etc. are my nudges to the audience to say that I'm not actually trying to be too serious. Still, it's tough to avoid the element of sadness and hopelessness about it that I notice whenever watching it with others. In class when the project was previewed for the first time, I remember silence mixed with awkward laughs. When it was over a common sentiment was, "I wasn't sure if I was allowed to laugh or not". Truthfully, it came off more serious than I expected. My friend Ward did an excellent job of playing down the role in my opinion. In so many student shorts people try to overact or include every emotion in the book to make it feel heavy. I feel like the value of this project is that in opting to go dialogue free, keeping focus on a single location, and allowing things to unfold naturally, you actually get a more legitimate view of who this person would be if he was real. It feels like a confident effort despite being 18 at the time. Not to say the project is without flaw obviously, but for the exercise and class it felt very relevant. We shot on a cold spring day in March armed only with my D8 camcorder and storyboard. I didn't have a clear idea of where I wanted to shoot exactly, but I knew I wanted an alley in downtown Regina so that the scale of the scene would be more fun to work with. Ward and I, having met at university orientation and becoming friends throughout first year, had worked together on other projects. When shooting photos for a slide show earlier that semester we used the parkade that borders this alley for a better vantage point. That probably had as much to do with deciding on the location as anything. Technically, I'm still very proud of how this assignment looks. It was shot entirely in-camera, chronologically, and only the music and titles were added in post. As per the rules of the lesson, it was a test on our skills to block scenes, rehearse, and plan on the fly. I storyboarded everything, and my resulting high grade was no doubt a result of my organization. The evolution of the project came about in 2007 with the start of this blog and my desire to upload my film school shorts. Until that point this project had simply been known as Homeless. With the mustard scene fresh in my mind and the addition of the song Mean Mr. Mustard by the Beatles, it seemed that a new title would be more fitting. Consider the first few lyrics of the song - "Mean Mr. Mustard sleeps in the park, shaves in the dark trying to save paper. Sleeps in a hole in the road. Saving up to buy some clothes. Keeps a ten-bob note up his nose. Such a mean old man". There's no evidence that Ward's character was mean, but the association between the lyrics and the literal mustard gag seemed like a fun comparison. 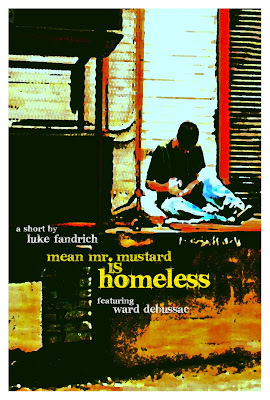 Thus, the title changed to Mean Mr. Mustard is Homeless - though the short itself (with exception to the titles) is identical to the 2003 version. My fondness for this short and Film 200 specifically, comes from the memories associated with getting started on a new phase in my creative career. Many of the people I met in 200 I still talk to today, and it was their work that directly fueled my competitiveness and drive to push myself even further. It seems like an understatement to say that a lot has been accomplished since then. It's all good if you can make a living making movies about being homeless, and not being homeless because you took your shot at making movies. Timeless; one of the best of the 'Pepper' era. Y'know I really miss Ward sometimes! This is actually a really good idea. I mean it can really show the things that we don't see about homelessness. I hope the reality in the movie was able to strike some people to move towards a change. I really enjoyed this video and it is neat to know this was just the beginning of your film career! I really hope that you keep sharing your work on here to see how much you have learned and grown from everything you have learned! Thank you for sharing your "Baby" of your first movie to all of us to enjoy!